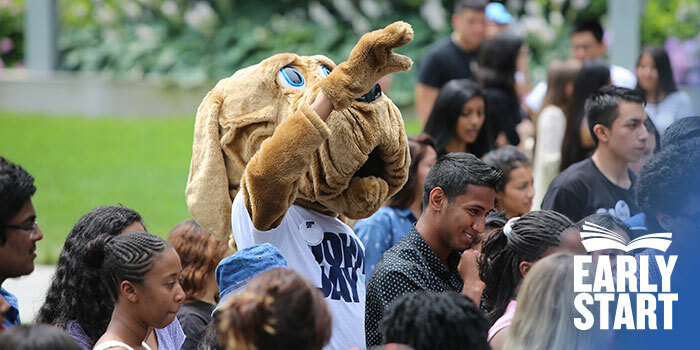 Early Start gives you the opportunity to take one college course over the summer and meet faculty, staff, and other students before September. 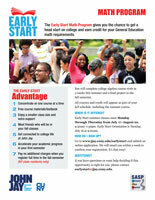 As an Early Start student, you will earn credit for a math or English course that fulfills graduation requirements while you get familiar with college life at John Jay. Why register for an Early Start course? 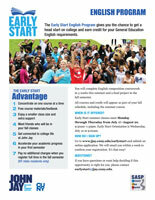 Cover the cost of Early Start class with your financial aid or fall tuition payment: No Extra Charges! When are Early Start classes offered? Early Start summer classes meet Monday through Thursday from July 17–August 20, 9:30am–1:30pm. Early Start Orientation will be on Wednesday, July 10th or Tuesday, 16th, depending on the course you choose. Click here and complete the online form to apply. You will receive a response within 3 business days. 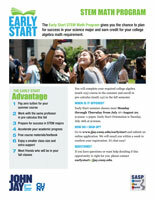 If you have any questions about the Early Start program or want help deciding if this opportunity is right for you, please contact Sahib Kaur at earlystart@jjay.cuny.edu. Interested in attending the Summer 2019 program? Apply here.